PHOTOS: Take a Peek Into Chelsea’s Redecorated Basement! 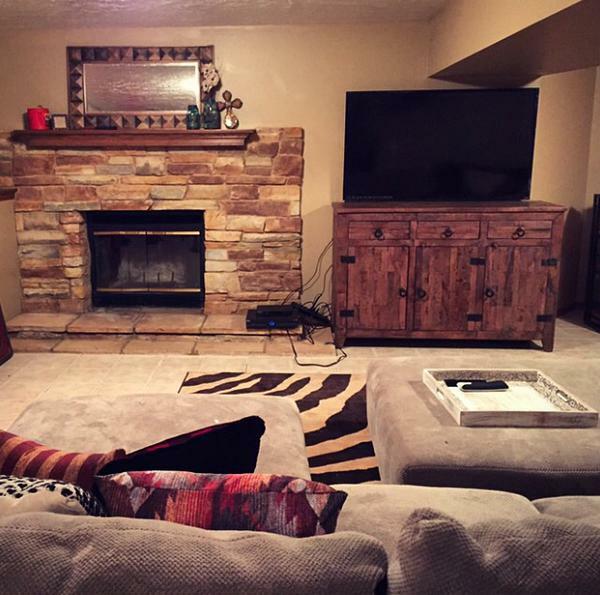 Chelsea Houska recently decided to take her “plain” basement and turn it into an inviting and cozy family room! 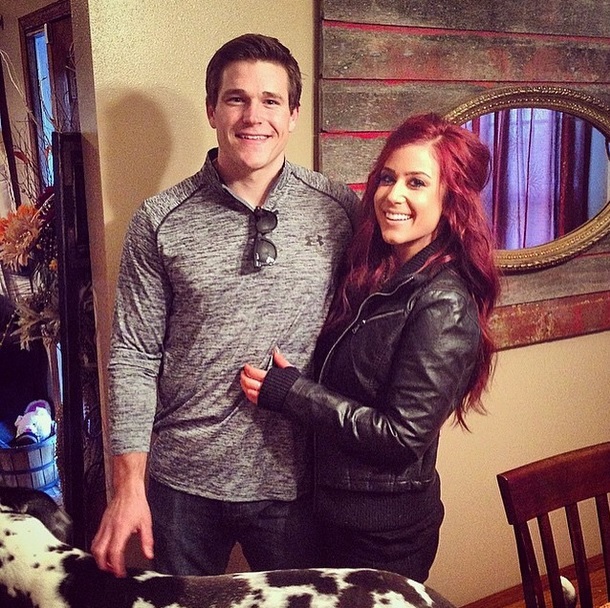 With the help of her hunky handy man (aka her boyfriend Cole) of course. 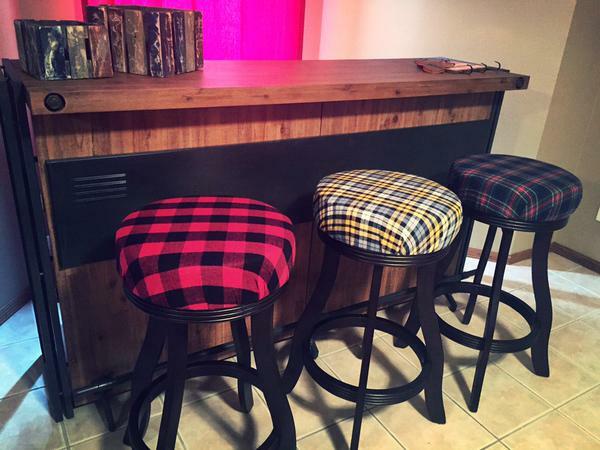 Chelsea added warmth and color to her dreary basement with pillows, curtains and with super cute plaid bar stools that Chelsea made herself. Well she made the cushions adorable anyway! 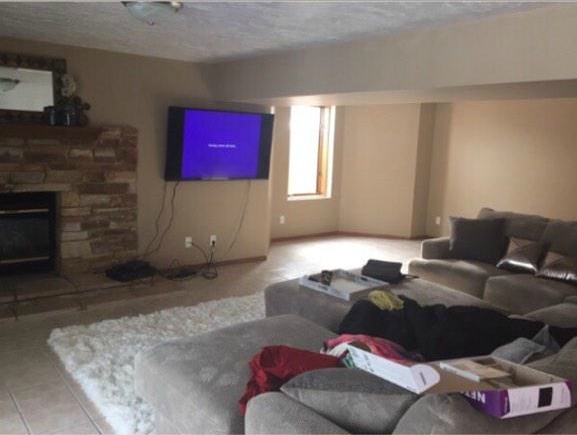 “After living here a year..my basement is FINALLY coming together Kinda going for a rustic chic look! #plaintocozy ” Chelsea says. Take a look at the before and after! “Just need some ideas on what to do on top of the fireplace &gotta tuck those wires and stuff away, then I’m done!” Chelsea tweeted. 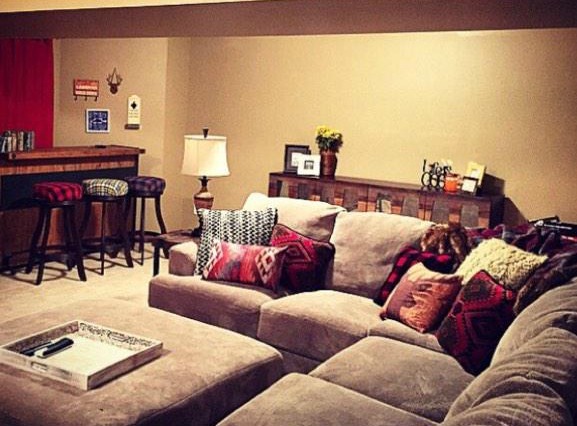 Who else is completely jealous of this basement right now!? ?